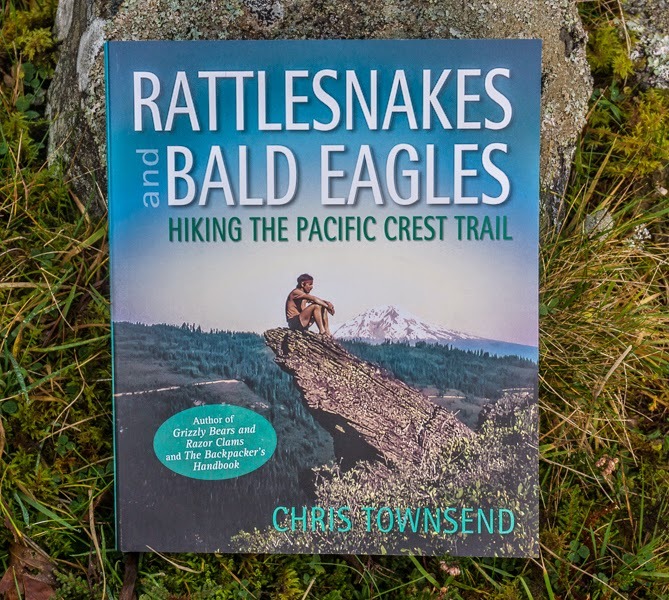 Following the publication of my book on my Pacific Crest Trail hike, Rattlesnakes and Bald Eagles, I've been asked about the trail and what it's like. 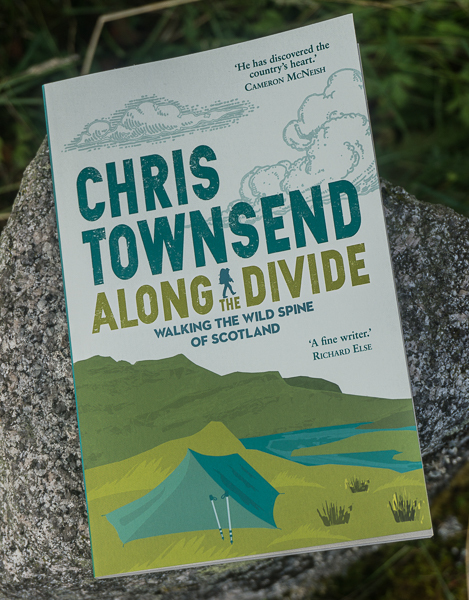 Of course the way to find out is to read my book but in the meantime here's a piece I wrote for The Great Outdoors a few years ago with some photos taken on my walk. One sunny April morning nearly thirty- four years ago I took my first steps north from the Mexican/USA border. I had begun my walk along the Pacific Crest Trail, a walk that would end 174 days and 2700 miles later when I reached Canada. En route I would walk through deserts, forests and mountains and watch a vast wilderness unfold. 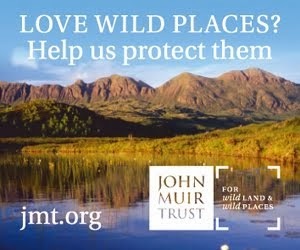 I would see black bears and rattlesnakes, moose and coyotes, strange Joshua trees in the deserts and giant firs and pines in the mountains, smoking volcanoes and bubbling mud pots. I would experience searing heat, deep snow, tremendous thunderstorms and dangerous creek fords. I would learn to carry a gallon and more of water in the desert, the hassle of hanging my food to protect it from bears and the need for snowshoes or skis when hiking through deep, soft snow. My pack would be heavy, my feet often sore and my skin burnt and frozen but at no point would I wish to be anywhere else. The beauty, tranquillity, power and magnificence of the landscape would overcome all difficulties and discomforts. Since hiking the PCT I have undertaken many other long distance walks and hiked in wild areas in many parts of the world from the Arctic to the Himalaya. But if there is one route, one experience, that sings in my mind above all others it is the PCT. 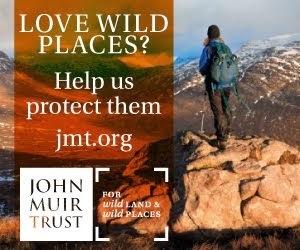 Maybe because it was the first big walk in real wilderness, the first one outside the UK, but mostly, I think, because it is such a superb route with such a wonderful variety of landscape and terrain. The PCT runs through the States of California, Oregon and Washington, following the line of mountains that rises up east of the Pacific Ocean, hence the trail’s name. 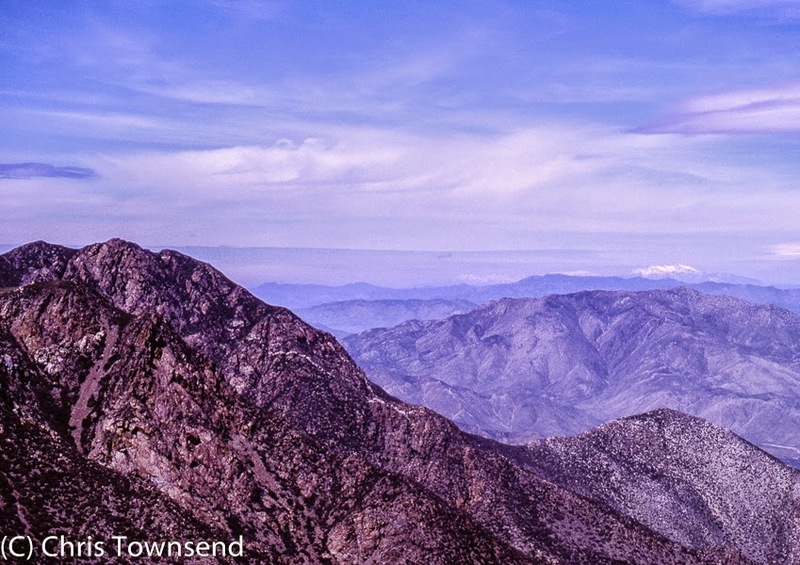 In Southern California this long chain of mountains breaks up into little ranges split by big sections of desert. Here there is heat and a lack of water, even in April. Cacti and rattlesnakes are everyday companions and the location of water sources is key to comfort and safety. Only when the trail climbs to cross the east-west running steep Transverse Ranges – the Lagunas, San Jacintos, San Bernardinos and San Gabriels – is there shade and water and coolness. This splintered section, forever changing between flat desert and steep mountain, ends with a crossing of the Mohave Desert amidst the weird Joshua trees, which are giant yuccas rather than real trees. From the Mohave Desert the PCT climbs into the glorious Sierra Nevada mountains, which it follows for 1000 miles. The name means the Snowy Range and it was appropriate for my PCT hike as the mountains were still deep in snow when I reached them in mid-May, the previous winter having been exceptionally long and snowy. 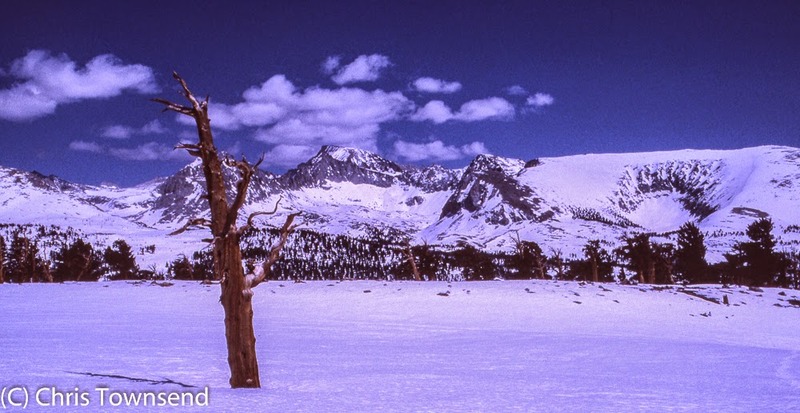 For the 500 miles of the High Sierra, the highest part of the range, I plodded through the deep snow in the forests on snowshoes and climbed icy slopes to high passes on crampons in the company of three American hikers I’d joined for safety in this winter mountain wilderness. The trail was buried and hidden but we could follow the rough line, though we walked across frozen lakes rather than round them and crossed one ridge by the wrong pass. The wilderness was empty and we saw no other people or any tracks for the twenty-two days it took to cross the high country to Yosemite National Park. The high point, literally and emotionally, of this snow trek was the ascent of 14,494 foot Mount Whitney, the highest peak in the 48 contiguous States. In summer you need a permit to climb Whitney as the mountain is so popular. In May we were alone. In the Yosemite backcountry the snow began to melt and there were many swollen torrents to ford either with a safety rope or by crawling along wet slippery fallen trees. The week spent here was the most hazardous of the walk and probably the most dangerous seven days I’ve ever spent in the wilds. Beyond Yosemite the snow slowly melted away and the terrain was lower and less remote though still magnificent. The Sierra Nevada fades away too, into the southernmost Cascade Mountains, a range typified by the string of massive volcanoes that stretches all the way to Canada. In Northern California I went through Lassen Volcanic National Park where I saw my first geysers and bubbling mud pots and then passed lovely Mount Shasta, its shining white cone prominent in the views for many days. After 1500 miles the PCT leaves California for Oregon, where the walking is perhaps the easiest of the whole route, with many level forest trails. The volcanic landscape is still impressive though, standouts being the pristine blue waters of Crater Lake, set in the huge caldera of an ancient volcano; the spiky rock fangs of Mount Washington, Mount Thielsen and Three-Fingered Jack; the rippled peaks of the Three Sisters; and the bigger volcanoes of Mounts Jefferson and Hood, the former set in beautiful timberline meadows. Oregon ended with a descent to the Columbia River via spectacular Tunnel Falls where the narrow trail is cut into the side of a deep gorge and passes behind a tremendous waterfall. The final section of the PCT, through Washington State, is the most rugged and steep and has the stormiest weather, a fitting finale. 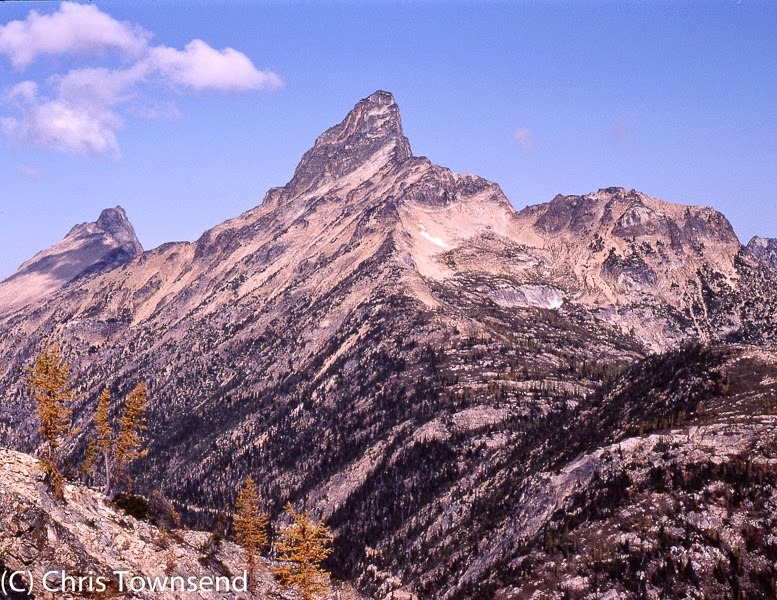 From high pass to deep valley to high pass the trail threads its way through the North Cascades, a dramatic tangle of alpine mountains clad in glaciers and snowfields. 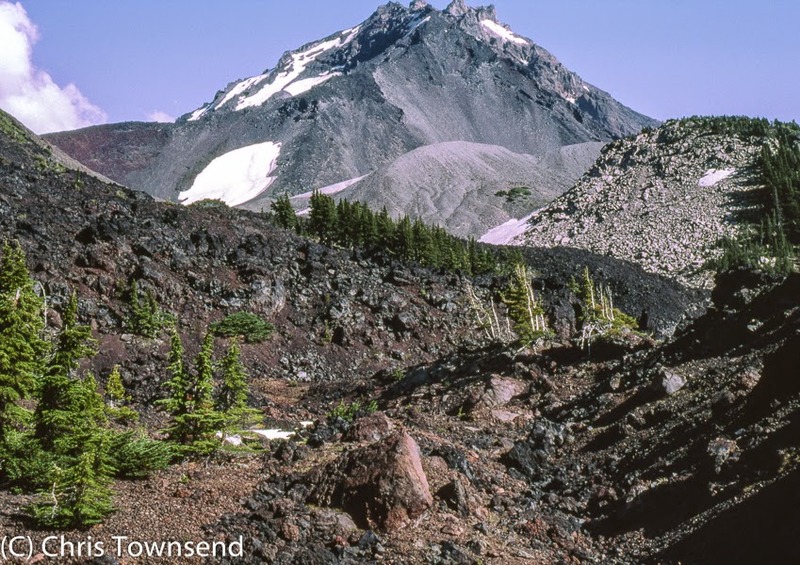 The big volcanoes are still here – Adams, Rainier, Baker – but not as dominant as further south due to the welter of other impressive mountains, especially Glacier Peak, surrounded by flower meadows and tree groves. Then there is the last splendid high level walk along the Cascade Crest in the Pasayten Wilderness. All too soon Monument 78 on the Canadian border arrives and there are just the last few miles to hike to the nearest road. The PCT is over. I'm really looking forward to getting hold of my copy of Rattlesnakes and Bald Eagles as I really enjoyed your last book. Do you plan to do the Continental Divide trail in the US? I have no plans at present for a book on the CDT Martin but I am due a meeting with the publisher to discuss future books. I'll certainly mention it. Thanks Chris, your book is on my Christmas list. Why did you go so early? Was it to avoid the worst heat of the deserts? Hope you enjoy the book Mike. I went so early because that was the advice at the time. The view was it took 5-6 months to hike the trail and you needed to finish by late September so needed to start in early April.